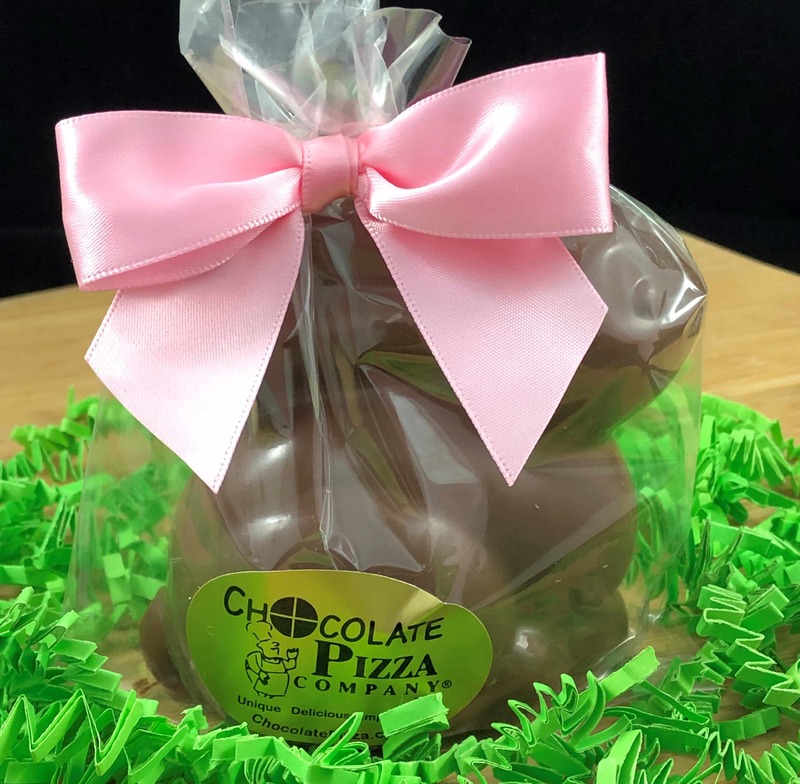 If there is one treat that every kid wants in their Easter basket, then it has to be a solid chocolate Easter bunny. 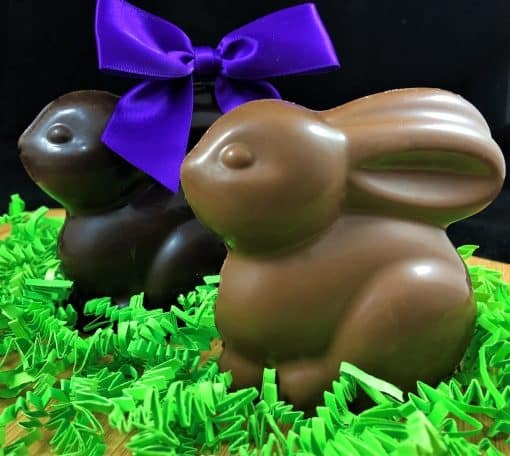 Our chocolatiers use the highest quality Swiss-style milk or dark chocolate to create this adorable Easter favorite. Sealed in cellophane and finished with a bow (4.5 oz). 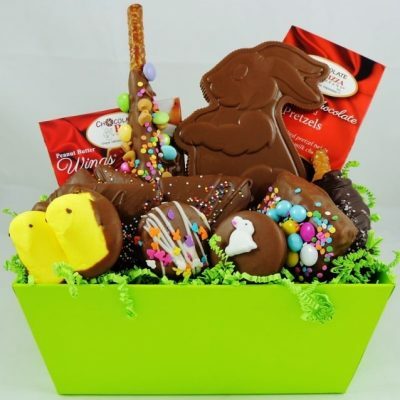 There is one treat that every kid wants in their Easter basket. 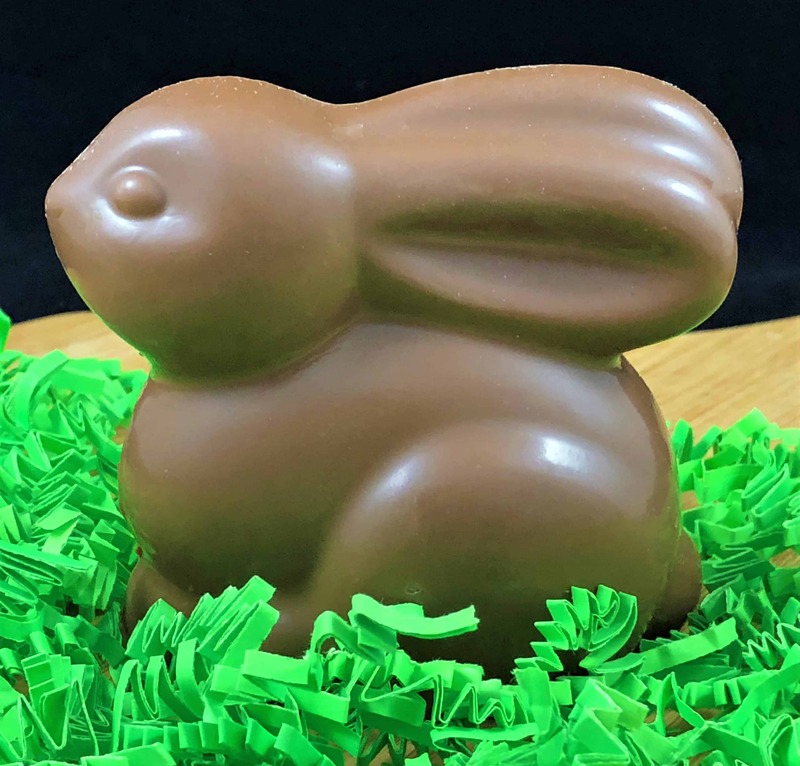 It’s a solid chocolate Easter bunny. But why give them grocery aisle chocolate. Our chocolatiers use the highest quality Swiss-style milk or dark chocolate to create this adorable Easter favorite. Sealed in cellophane and finished with a bow (4.5 oz). 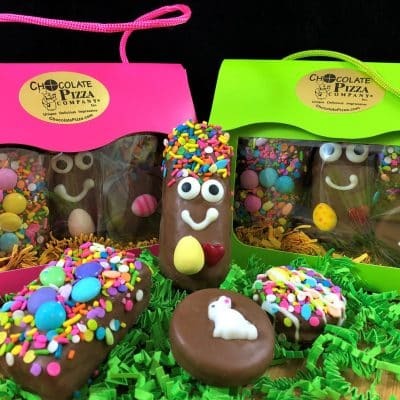 Chocolate Pizza Company is Central New York’s largest chocolate maker. We are located in the Finger Lakes region of Upstate New York. Local artisans, we have been making gourmet chocolate gifts for more than 30 years. 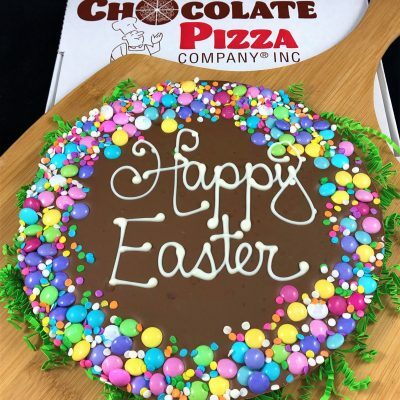 Finally, our signature products – Chocolate Pizza and Peanut Butter Wings – are known nationwide. They have been featured on Food Network, Hallmark Channel, CNBC, CMT and in other major media.